To produce proteins on an industrial scale without using living cells is the ambitious goal of cell-free bioproduction. This method could help us to produce biological ingredients more quickly and with fewer resources than conventional techniques allow. 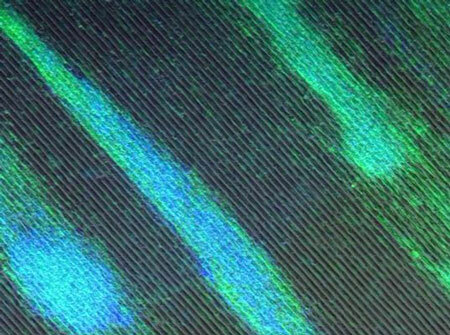 Laboratory-grown structures akin to hair follicles could aid the search for novel drugs to treat baldness and other hair disorders. 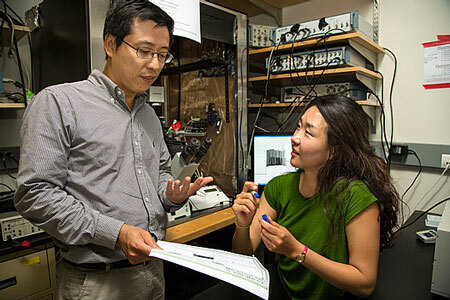 Bioengineers at the University of California, Berkeley, have shown that physical cues can replace certain chemicals when nudging mature cells back to a pluripotent stage, capable of becoming any cell type in the body. How some plant species evolved super-efficient photosynthesis had been a mystery. Now, scientists have identified what steps led to that change. With the flick of a light switch, researchers at the Salk Institute for Biological Studies can change the shape of a protein in the brain of a mouse, turning on the protein at the precise moment they want. This allows the scientists to observe the exact effect of the protein's activation. Clay can be used in various forms for a range of objects such as cups, plates or bricks. Similarly, proteins can transform their structure and thus adapt their function and activity. Researchers at the Max Planck Institute for Molecular Genetics in Berlin have analysed proteins for such modifications that control gene activity, so-called transcription factors. 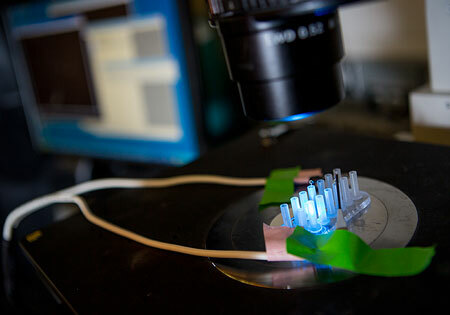 New microfluidic technique quickly distinguishes bacteria within the same strain; could improve monitoring of cystic fibrosis and other diseases. Scientific links between the UK and China in the exciting field of synthetic biology will be boosted by the announcement of five grants awarded through a Synthetic Biology China Partnering Award. 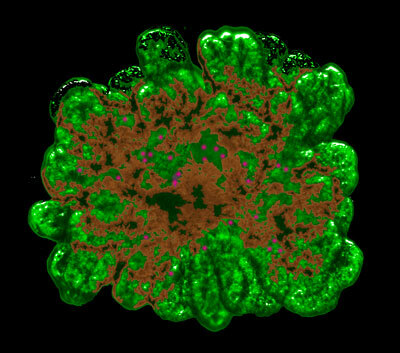 An international team of researchers from the University of Copenhagen have successfully developed an innovative 3D method to grow miniature pancreas from progenitor cells. The future goal is to use this model to help in the fight against diabetes. Researchers at the University of Illinois at Chicago have identified a protein expressed by human bone marrow stem cells that guides and stimulates the formation of blood vessels. Cells, biological circuits, and individual biomolecules organize themselves and interact with the environment. Use of these capabilities in flexible and economically efficient biotechnological production systems is in the focus of the 'Molecular Interaction Engineering' project. It is the objective to develop printed biological circuits and catalysts for biologico-technical hybrid systems. In her PhD thesis Ruth Sanz-Barrio, an agricultural engineer, has demonstrated, for the first time, the viability of using specific tobacco proteins (known as thioredoxins) as biotechnological tools in plants. Specifically, she has managed to increase the amount of starch produced in the tobacco leaves by 700% and fermentable sugars by 500%. Researchers at Johns Hopkins have succeeded in making flattened, football-shaped artificial particles that impersonate immune cells. These football-shaped particles seem to be better than the typical basketball-shaped particles at teaching immune cells to recognize and destroy cancer cells in mice. The EU-funded project BIONET ('Network topology complements genome as a source of biological information') is using graph theory to model biological network interactions and develop advanced algorithms to analyse these complex data. 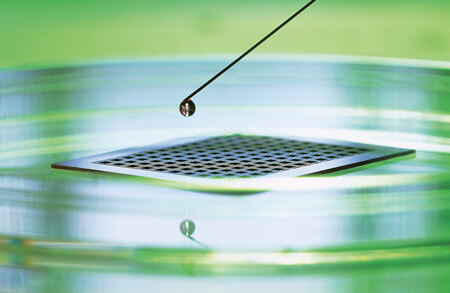 In many studies of stem cell therapy for heart disease, most of the cells wash away in the first hour. 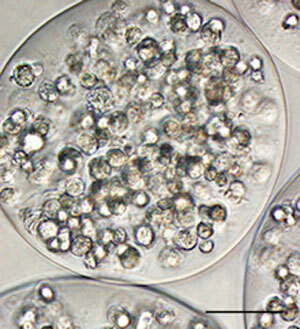 Researchers at Emory and Georgia Tech encapsulate mesenchymal stem cells in alginate so that the cells stay alive and in the heart. In rats, the capsules promote healing after a heart attack. Alginate has several biomedical uses already so the path to translation looks good.